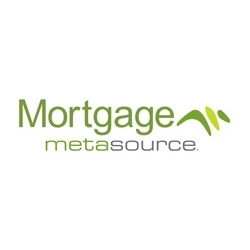 Salt Lake City, UT, March 28, 2019 --(PR.com)-- MetaSource, a leading provider of mortgage technology and services, completed their annual third-party review process for MERS Clients at the end of 2018. These reviews are required by MERS for companies having more than 1,000 mortgage identification numbers (MIN) in their servicing portfolios on March 31st of the current year as part of the eAnnual Report process which must be completed by the end of every year. Many clients have great Quality Assurance programs and received high marks, however there were five distinct findings that stood out in last year's review cycle. 1. Written internal policy and procedures were not detailed enough to comply with MERS Requirements. 2. Members were not completing monthly data reconciliation, were not reviewing all required data fields, or were not using the MRE Report for comparison. 3. Members' internal Quality Assurance audits, their subservicers' process audits, and third-party vendor process audits did not meet MERS Standards or were inadequate to ensure compliance. 4. Default account triggers for bankruptcy and foreclosure were either poorly documented or missing. 5. Missing or inadequate documentation of the appointment of officers as officers of the member corporation before appointing them as signing officers for MERS. Overall, they noted a higher than normal turnover of MERS-related personnel within our client companies, according to MetaSource MERS Operations Manager, Kelly Jensen. Missing or inadequate written internal policy and procedures then created problems for clients who had turnover. "If you haven't documented your processes, it is very difficult for someone new to come in and take on the role," Jensen said. Additionally, in some cases, our review found that some smaller servicers had someone still listed in a MERS security role who no longer worked for the company. Among the best practices recommended by MetaSource to its MERS member clients is the establishment of a process that ensures an early start in the year to surface any potential compliance issues in time to correct them. "Scheduling third-party reviews at the beginning of the third quarter helps provide time needed to identify and correct weaknesses in process and procedures in order to submit a clean annual report by the end of the year," said Mary Kladde, SVP of MetaSource Mortgage Services. MERS annual reports are due December 31 and can take some time to complete depending on the client documentation and needed process repair and revisions.